Well, I didn't live much of the week in Iowa, I spent a night in Japan and two in South Korea. It's funny, when I tell people I went to Korea every asks, "South Korea?" That's when you know your reputation is larger than life, when people wonder, enough to ask, if you just visited North Korea. Work was interesting. All of that travel for what amounts to maybe 12 hours of meetings and inspections. That being said, one of the things we inspected was a foundry and they had sand chemistry charts on the wall, that's how a foundry gets an A, or at least a B. The unexpected excitement of the trip was a three hour delay taking off in Chicago in our 787... I'll leave that for the trip report. Somehow I ran 34 miles, which is more than double last week. My ankle is healing, slowly, but faster than I fully understand. 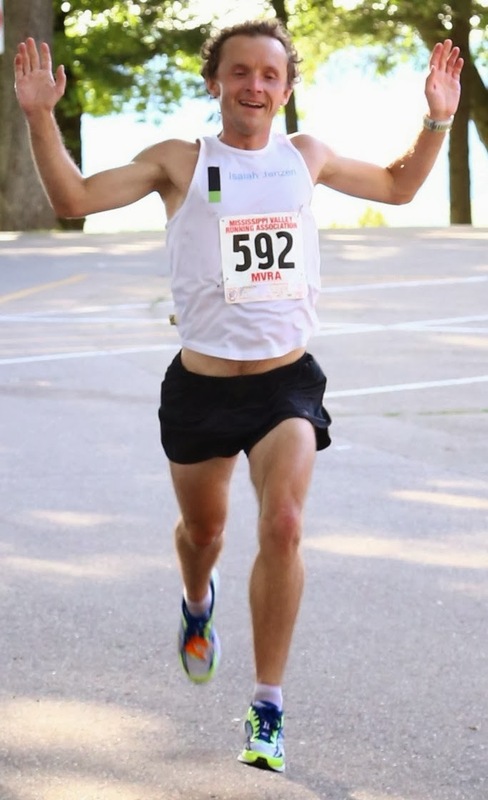 I ran nine miles Saturday afternoon. Plus, I ran in three countries, off road in all of them too, not a bad week at all. 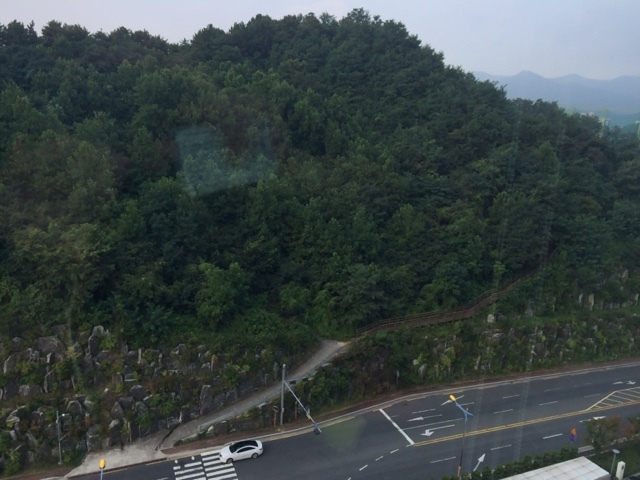 Below is a picture of the hill and one trail behind my hotel in Changwon, South Korea. I slept 15 hours Friday night, then about 3 hours Saturday night. Jet lag is not fun. The good news is, despite not really taking any precautions for my health I did not get sick from this trip. I've gotten sick so many time in Asia or after traveling to Asia that I don't take not getting sick for granted.